MONK, JAMES, merchant, surveyor, justice, solicitor general of Nova Scotia; b. c. 1717 in Wales; m. Ann Deering at Boston, Massachusetts, 20 Jan. 1739/40; d. 6 May 1768 at Halifax, Nova Scotia. James Monk was educated at Eton College and by 1736 had emigrated to Boston where he was set up as a shopkeeper and merchant. 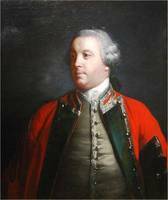 He enjoyed prosperity for many years, but eventually was “unfortunate in trade & oppressed by his creditors.” In June 1745 he was commissioned an aide-de-camp to General William Pepperrell and was present at the siege of Louisbourg, Île Royale (Cape Breton Island). He may have remained there during the English occupation of the fortress from 1745 to 1749. 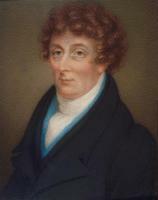 In August 1749 he was in Halifax and that September was appointed the assistant surveyor of Nova Scotia. His financial position became more secure in February 1750/51 when the Nova Scotia Council passed a debtors’ act, protecting provincial residents from debts contracted in England or her other colonies before their arrival in Nova Scotia. 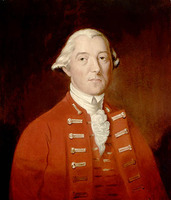 Monk had been appointed a justice of the peace by Governor Edward Cornwallis* in December 1750 and became a justice of the newly established Inferior Court of Common Pleas in March 1752. 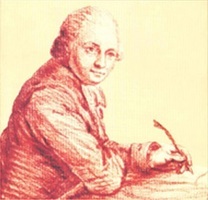 He may have had some legal training, for among his papers was found a notebook on law cases which he began in 1735. Lawyers and justices in Nova Scotia at this time, however, were generally untrained in law. Little is known of Monk’s life over the next few years. In the fall of 1759 he and the other justices applied for land grants on the Bay of Fundy. According to Monk, the distribution by Charles Morris of some 25,000 acres of land around the Pisiquid (Avon) River was unfair, favouring council members over other applicants. (The grant established this area as a centre of country estates for Halifax councillors and officials.) Monk also charged that because of his complaints against the chief surveyor’s conduct, Morris refused him the support to maintain “chainmen” for his surveying work. Monk claimed he was finally forced to sell his office to Morris’s son in December 1759. The following March the council recommended that Governor Charles Lawrence withdraw Monk’s commissions as justice because of non-attendance at court. 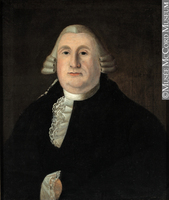 Monk had then to fall back on “the Practice of the Law, as the only resource for a Subsistence for his Family.” In July 1760 Lawrence appointed him solicitor general of Nova Scotia, though without regular salary. Monk retired in 1767, “Malancholly, dejected and distressed,” to his estate near Windsor, called “Monkville.” Some books in the inventory of his estate indicate that he was interested in scientific farming, which he may have applied there. 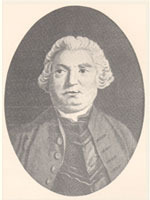 He died in May 1768 in Halifax, where he had gone to attend court. Five children survived him, including James*, who became attorney general of the province of Quebec, and George Henry*, who became a chief justice of the Supreme Court of Nova Scotia. Halifax County Court of Probate, 1768, James Monk, M135. PAC, MG 23, GII, 19 (Monk family papers; copies in PANS, Vertical mss file). PANS, MG 1, 701A; RG 1, 29, no.19, p.5; 37, no.23; 164/1, pp.33, 58, 73; 164/2, pp.85, 113, 201; 166A; RG 3, Minutes of Nova Scotia Council, 29 Dec. 1752–5 March 1753; 3, 5, 7, 9 April 1753; 10 March 1760; 27 Feb. 1762. Boston, Registry Dept., Records (Whitmore et al. ), , 215. “The Pepperrell papers,” Mass. Hist. Soc. Coll., 6th ser., X (1899), 288. R. A. Austen-Leigh, The Eton College register, 1698–1752, alphabetically arranged and edited with biographical notes (Eton, Eng., 1927), 237. 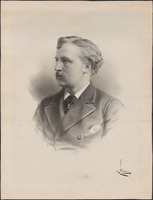 A. W. H. Eaton, “The Deering or Dering family of Boston, Mass., and Shelter Island, N.Y.,” N.Y. Geneal. and Biog. Record, LII (1921), 47–49. Brebner, Neutral Yankees (1937), 35–36, 75, 138, 241n, 249n; New England’s outpost, 245–47. Phyllis R. Blakeley, “MONK, JAMES,” in Dictionary of Canadian Biography, vol. 3, University of Toronto/Université Laval, 2003–, accessed April 26, 2019, http://www.biographi.ca/en/bio/monk_james_3E.html.